Please refer to the Limited Warranty Owner Assistance Information or dealer for additional details. Now every Certified Pre-Owned Vehicle from Chevy, Buick and GMC has the value and confidence you need. That’s because every Certified Pre-Owned Vehicle comes with Owner Care, our newest vehicle benefits package, featuring our new, exclusive 2-Year/24,000-Mile Standard CPO Maintenance Plan; a 12-Month/12,000-Mile Bumper-to-Bumper Warranty; and a 5-Year/100,000-Mile Powertrain Limited Warranty. See? We didn’t call it Owner Care for nothing. You can feel confident in your decision to buy a Certified Pre-Owned vehicle, long after your purchase. Starting from the delivery of your vehicle, we provide you with our exclusive 2 year/24,000 mile1 scheduled vehicle maintenance plan- which includes oil and oil filter changes, tire rotations and multipoint vehicle inspections. Every Certified Pre-Owned Vehicle comes equipped with a comprehensive 12-Month/12,000-Mile3 Bumper-to-Bumper Warranty. That’s four times better coverage than Chrysler and Ford. This is not your regular, every-day used vehicle. Certified status is a name that is earned, and earned only by meeting our strict, factory-set standards. If it doesn’t pass, we completely recondition it. 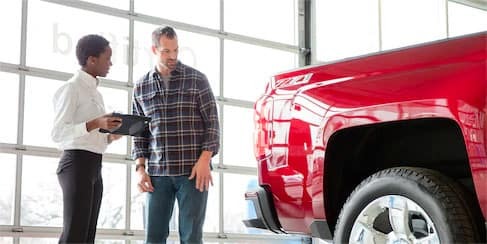 Our 172-point vehicle inspection is one of the most comprehensive in the industry—and just one of the differences between a regular used vehicle and a Certified Pre-Owned Vehicle from Chevrolet, Buick or GMC. very Certified Pre-Owned Vehicle from Chevy, Buick or GMC comes with a $0 deductible transferable 5-Year/100,000-Mile4 Powertrain Limited Warranty, with roadside assistance and courtesy transportation. And now 2013 model year and newer Certified Pre-owned Buick vehicles (purchased as of 6/24/2013) come with an enhanced 6-year/100,000 Mile4 Powertrain Limited Warranty with $0 deductible. We believe in our vehicles and aren’t afraid to stand behind them. Courtesy transportation: During the warranty coverage period, this program provides alternate transportation and/or reimbursement of certain transportation expenses under the Courtesy Transportation Program if your vehicle requires warranty repairs. See your dealer for details. We’re proud of—and have confidence in—every vehicle we sell. Which is why all Certified Pre-Owned Vehicles from Chevrolet, Buick or GMC come with a detailed Vehicle History Report. Now you can be sure the vehicle that you’re purchasing doesn’t have any hidden past problems like major accidents, fires or title issues. 3 Whichever comes first, from date of purchase. See participating dealer for limited warranty details. 4 Whichever comes first, from original in-service date. See participating dealer for limited warranty details.